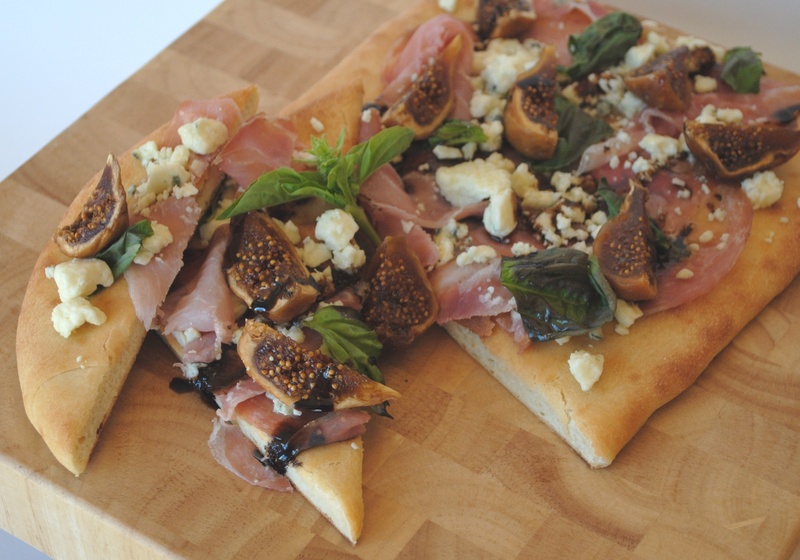 Get ready to clear off some counter space, preheat your oven, and roll up your sleeves—it’s time to make homemade pizza. 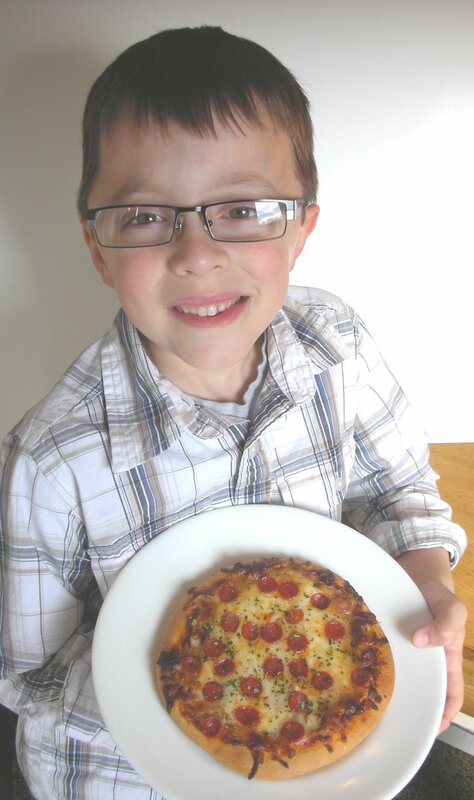 Kids are uniquely qualified for this task, as it offers not only the opportunity to play with their food (during the kneading and shaping stages, that is), but a chance to be creative with their choice of toppings, making this personal pizza all the more unique for the little ones. Encourage patience here, because the dough, like most yeast-leavened products, needs to proof. The meaning of the term “proof” is derived from the actual evidence (or “proof”) needed to ensure the yeast has survived the preparation process. In our case, making sure the dough has doubled in size while its rests will be proof enough for us. Like most of these kid-friendly recipes, this week’s installment offers an ideal opportunity to perform a little culinary guidance. Selecting toppings—either minimal or complicated—is a bunch of fun. Plus there are lots of healthy substitutions to play around with. And as far as spinning discs of pizza dough in the air, well…I’ll leave that up to you. 1. Preheat conventional oven to 450 º F. In a small bowl, combine warm water, yeast, sugar, and whisk until yeast has dissolved. Set yeast mixture aside. In the mixer bowl of an electric mixer, with dough hook attachment, combine ¾ cup of the bread flour and salt. Add in the yeast mixture. Add in cold portion water and olive oil. (Only add remaining ¼ cup of bread flour if dough is too sticky). Mix on low until a solid ball is formed; knead on medium for 5 – 6 minutes. 2. Remove dough from mixing bowl and knead on a floured work station for an additional 5 minutes (this will develop gluten). Place dough in a lightly oiled prep bowl, and cover with plastic wrap. Place in a warm location until dough has doubled in size. 3. Remove dough from bowl and punch down on lightly floured work station. On a parchment-lined ½ sheetpan, sprinkle a few small pinches of cornmeal. Place dough on sheetpan and shape into a disk, approximately 7″-8″ in diameter. Lightly re-cover dough, and place back in warm spot for second rise (dough should double once again). Brush on some olive oil around the circumference of the outer crust. 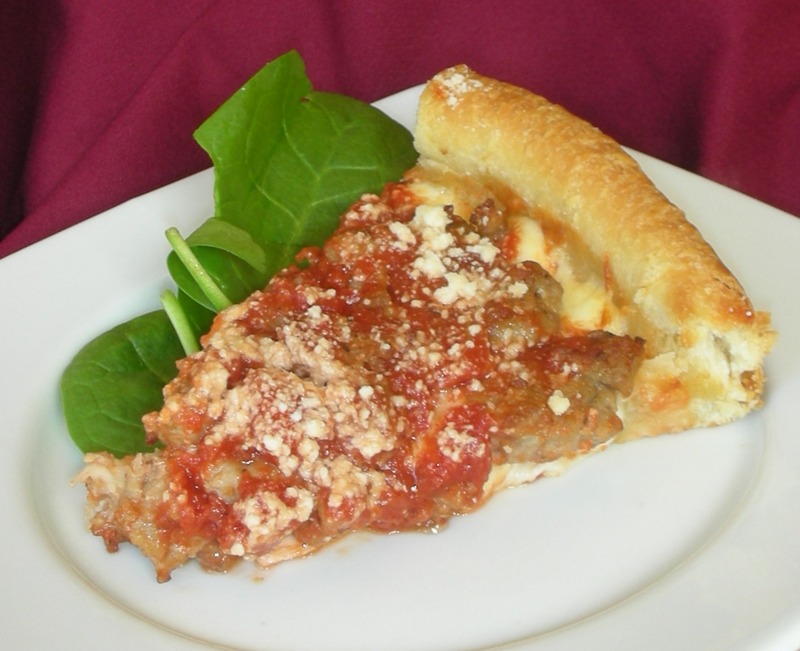 Ladle a conservative amount of tomato sauce in center of pizza, and swirl to outer edge of oiled crust. Add toppings mozzarella and toppings of choice. 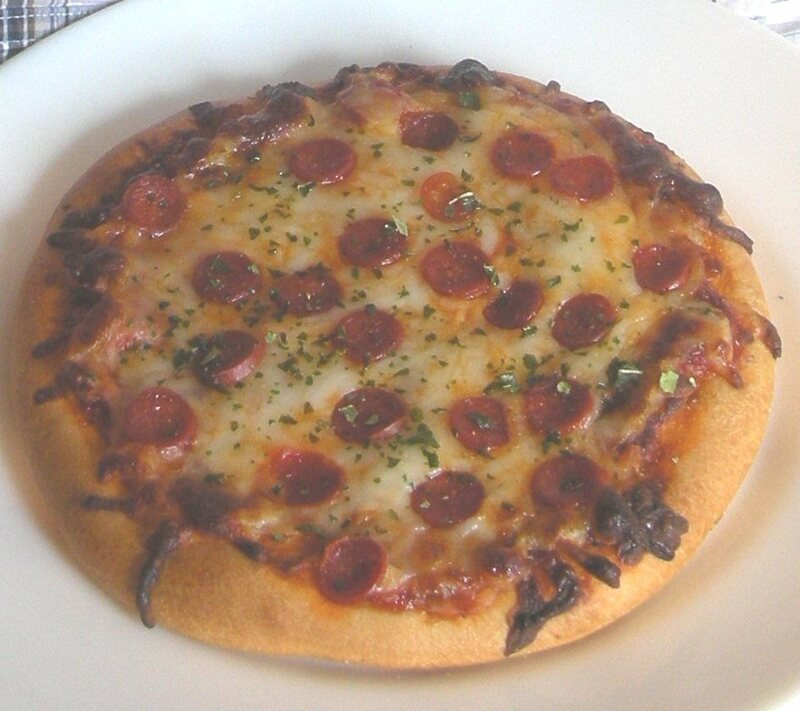 Bake pizza at 450 º F. until bottom crust is crispy and cheese is melted. Originally appeared in the November 11, 2010 edition of the Southside Times. Originally appeared in the October 28, 2010 edition of the Southside Times. One of the oldest and most enduring food feuds is the dispute between New York and Chicago—thin versus thick. I’m talking about pizza, of course. 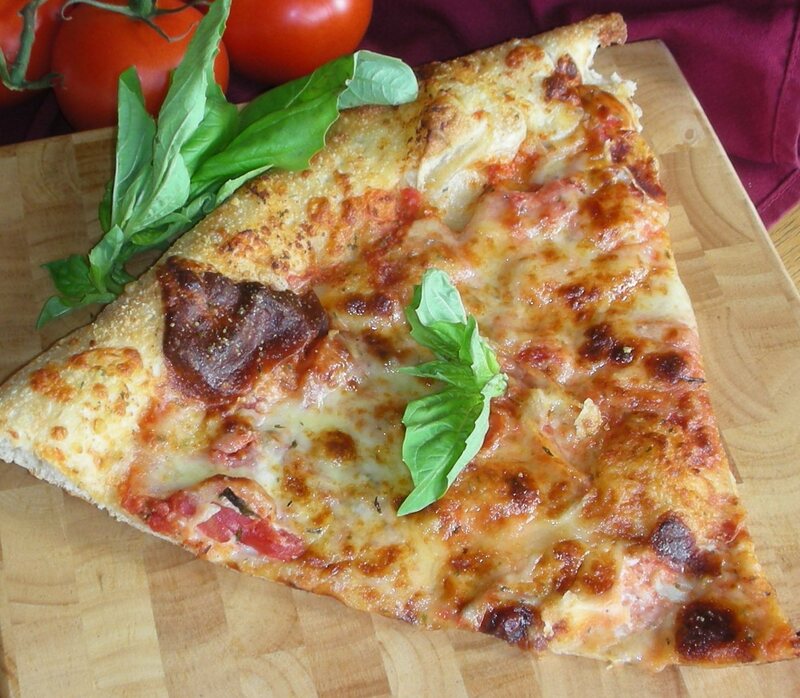 Without doubt, pizza has a rich history that stretches back well before the Big Apple and the City of the Big Shoulders began sliding their respective pies into the oven.